Have you been to a tire store near Fairfax Station, VA, lately? It can be an overwhelming experience. Selecting the right tires for your vehicle is an endeavor worthy of a professional opinion. A trained tire expert offers information regarding a wide inventory of tire styles, with different construction and material composition, varying performance specifications, and a range of price points. Choosing the right tires is critical for health and safety and can be made quite simple by visiting your local Goodyear dealer at the Tire Store near Fairfax Station, VA, at Wiygul Automotive Clinic. 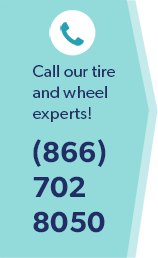 Our specially-trained tire experts can help you quickly locate the best tires for your vehicle to experience the most safe and efficient ride. The right car tires and consistent tire maintenance will help you achieve optimum safety and fuel economy, better handling and stopping, and an overall comfortable driving experience day after day. Having a Wiygul Automotive Clinic tire specialist perform a visual inspection of your tires can determine if it’s time to invest in a new set of tires. And remember, replacing all four at once as a set will allow you to better maintain the life and safety of your tires. Professionally-selected, properly maintained tires are essential to your driving safety. Finding the right tires at the Wiygul Automotive Clinic Tire Store near Fairfax Station VA, will provide you with increased fuel economy, better handling and stopping in any conditions along with greater comfort while you drive. If you check your tires and notice excessive or uneven tread wear, cracked or split sidewalls, discoloration or bulging, it is definitely time to purchase new tires. Since rubber deteriorates with extended exposure to oxygen industry experts recommend visiting your local tire store near Fairfax Station, VA, if your tires are more than six years old regardless of wear or use. The tire store near Fairfax Station, VA, at Wiygul Automotive Clinic will inspect your current tires and give you an honest fact-based assessment of your car’s condition. If you need new tires our Goodyear Tire Store is here to help you interpret tire sidewall codes, and guide you to an affordable set of tires for your vehicle. To recognize maximum tire life and even tread wear check your tire air pressure monthly and following a consistent tire rotation schedule. Consider rotating your tires when you change your oil to ensure safe operation and optimal tire performance. For dependable Goodyear tires perfect for your vehicle visit your Goodyear Tire Store near Fairfax Station, VA, at Wiygul Automotive Clinic.